My major concerns are the removal of Medicaid Expansion, the lack of funding for the Storm Water Local Assistance Fund, dramatic cuts to funding for the Virginia Housing Trust Fund, and the exclusion of funding for the Fostering Futures program, which allows the Commonwealth to accept federal funds for the purpose of expanding foster care support for children up to age twenty-one. That being said, with the exception of Medicaid Expansion, additional funding for these critical programs was included in the Senate’s version of the budget. As a result, I am confident that we will be able to work through the conference negotiation process to increase funding for these important programs. In addition, the House budget raises funding for K-12 and higher education, invests in economic development programs such as GO Virginia, and gives a much needed raise to teachers and state employees. As we move forward in the budget process, I will continue to advocate for including Medicaid Expansion in the final version of the budget and investing in our core government services such as education, transportation and transit, economic develop, preserving our environment, and protecting Virginia’s social safety-net. 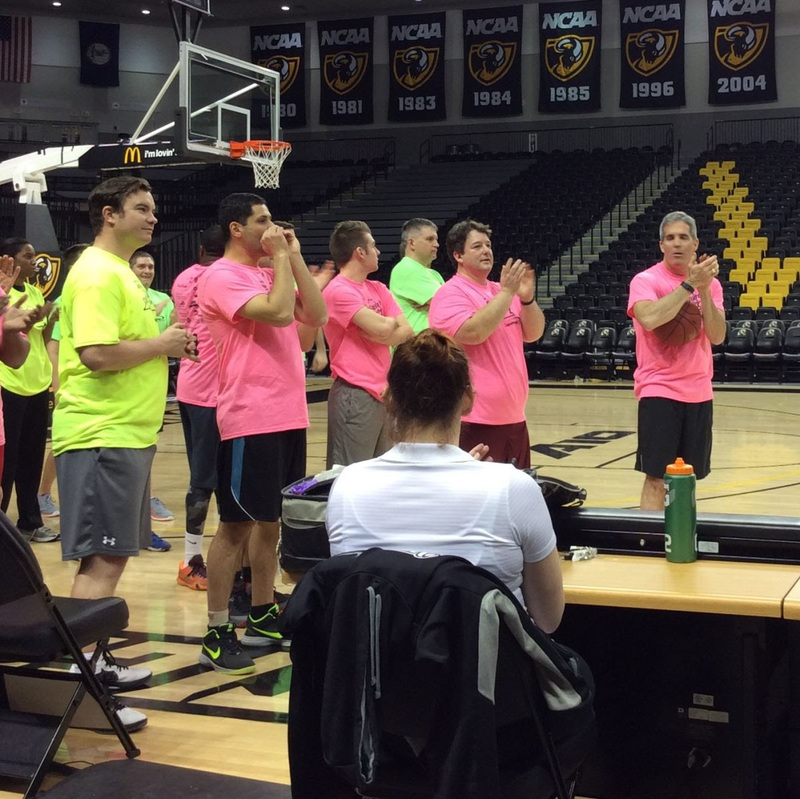 Republicans in the House of Delegates are at it again. 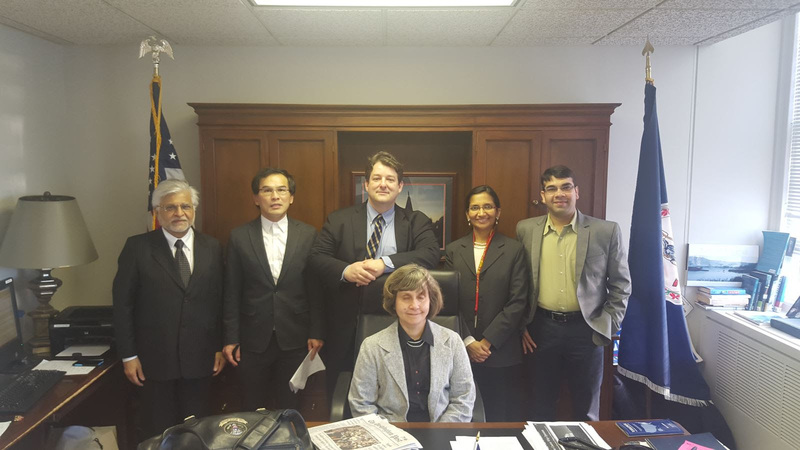 Despite passing legislation requiring General Assembly approval before the implementation of any proposal to comply with the EPA’s Clean Power Plan, they put forward an amendment to the budget that will prevent the Department of Environmental Quality from even developing an implementation plan for Virginia. 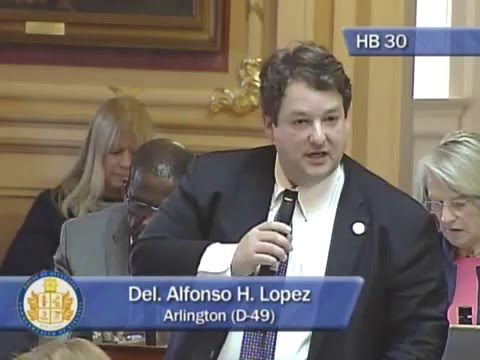 I spoke against this effort on the floor of the House of Delegates. You can watch my speech online here – https://youtu.be/2MiTXGlXSro. If we do not act to develop a plan, we risk being caught flat-footed if the Clean Power Plan is upheld, incurring significant additional costs to try and comply at the last minute, and possibly forgoing a Virginia-specific plan in favor of one developed by the federal government. Two of my bills were passed this week by the General Assembly. HB991 encourages the use of apprenticeship programs as a part of the Virginia Initiative for Employment not Welfare (VIEW) work requirements. Apprenticeship programs are a great way for Virginians in the program to get the essential job training skills that they need to build a career while working to support themselves and their families. Governor McAuliffe has set a goal of achieving 50,000 new credentialed workers by the end of this administration. The legislation will bolster those efforts and help build a new Virginia economy. My second bill that passed this weekwas a resolution making April 14th Chagas Disease Awareness Day in Virginia. Chagas disease is the third most common parasitic disease in the world, leading to heart failure and death in one out of every three people who are infected. 12,500 people die from this illness every year. 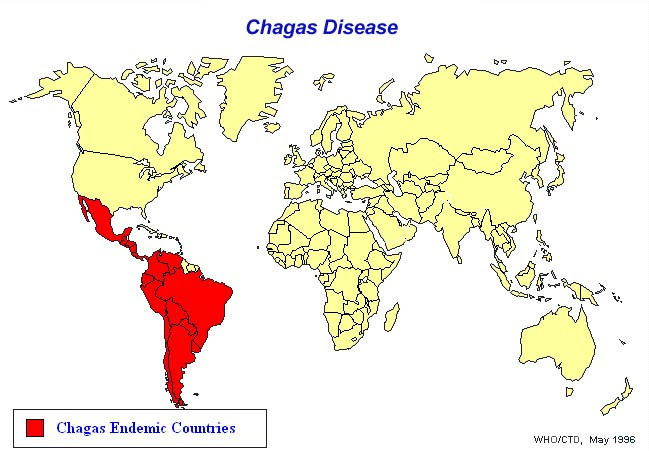 In the U.S. medical system, Chagas disease is thought of as an illness that is only seen in Latin America; however, there are an estimated 300,000 individuals in the United States who have this illness. In fact, Fairfax was the site of the first diagnosis of congenital Chagas disease in the United States. Sadly, because of the nature of the disease and its mostly regional impact, Chagas is often difficult to diagnose and treat in the United States. It is important that we raise awareness about this dangerous disease so that Virginians are able to obtain the proper diagnosis and treatment. 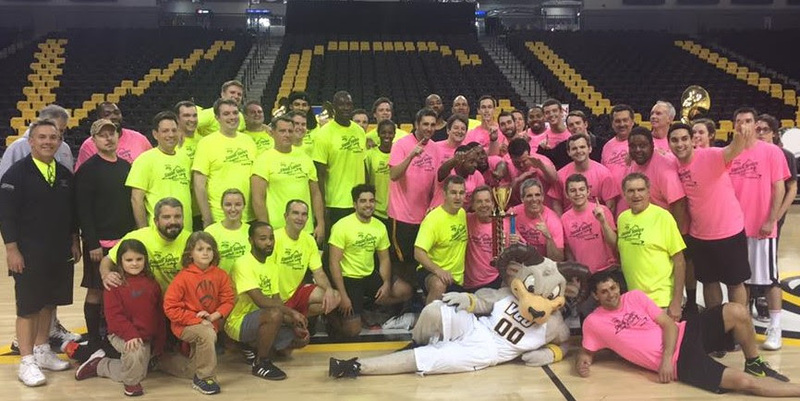 Every year, I play in a charity basketball game – the Capital Classic - between members of the House of Delegates and the State Senate benefiting the VCU Massey Cancer Center. The VCU Massey Cancer Center is among the top cancer centers in the country and is one of only two in Virginia designated by the National Cancer Institute to lead and shape America’s cancer research efforts. This cause is very personal to me. As you may know, my mom passed away in 2008 after a long battle with cancer. I’m proud that we were able to put aside politics for the evening and work together in a bipartisan effort to defeat the Senate 44-42 and raise $40,000 to support this important work. 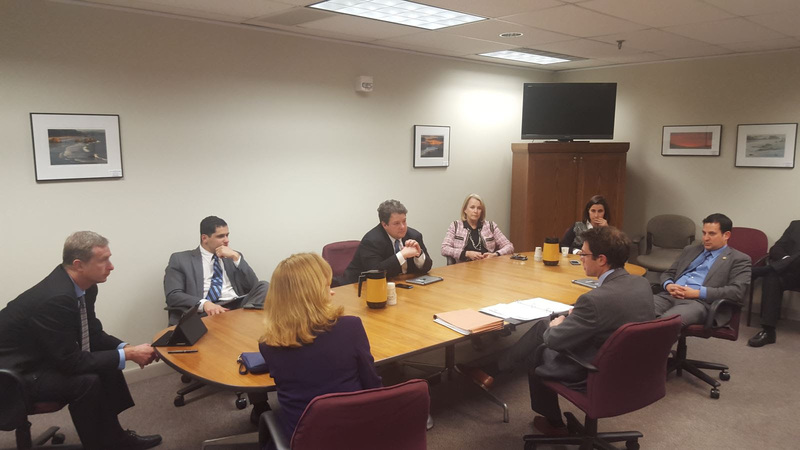 At this week’s meeting of the Virginia Environment and Renewable Energy Caucus, we heard a presentation from Cale Jaffe of the Southern Environmental Law Center regarding oil and gas drilling off the coast of Virginia. The Bureau of Ocean Management is currently working on its next version of the Five Year Oil and Gas Leasing Program, which could include the Outer Continental Shelf off the coast of Virginia. Virginia has built a thriving coastal economy around the military, aerospace, tourism, and seafood. If we open up Virginia’s coasts to offshore drilling, we risk significantly damaging our environment and the long-term stability of our coastal economy. We will continue to monitor this situation as it moves forward.